The evening will include a talk by Michael Mitton. Michael is a freelance writer, speaker, trainer and spiritual director. He is also the Bishop of Derby’s Adviser for Fresh Expressions. He is Priest-in-Charge of St Paul’s, Derby and Honorary Canon of Derby Cathedral. 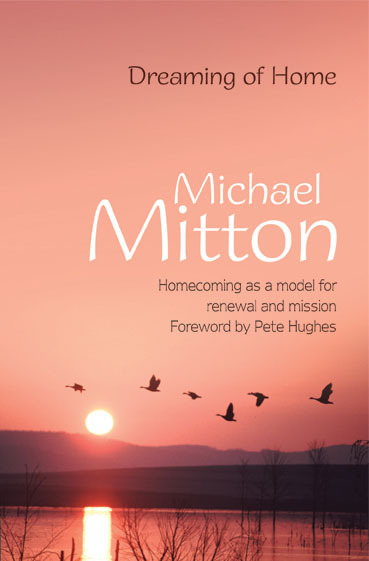 Michael’s latest book ‘Dreaming of Home’ explores the theme of homecoming as it applies to personal growth, vocation, church life in a post-Christendom world, Fresh Expressions, and the meaning of heaven as our final home. He will use themes and extracts from this book to both talk to us and to lead a time of silent reflection. All Saints’ Church, Longedge Lane, Wingerworth.